Includes 3 sheets of 23.6" x 35.4" stickers in scroll pack. Assembled size of 360cm wide x 200cm tall, just the right size to decorate any home. 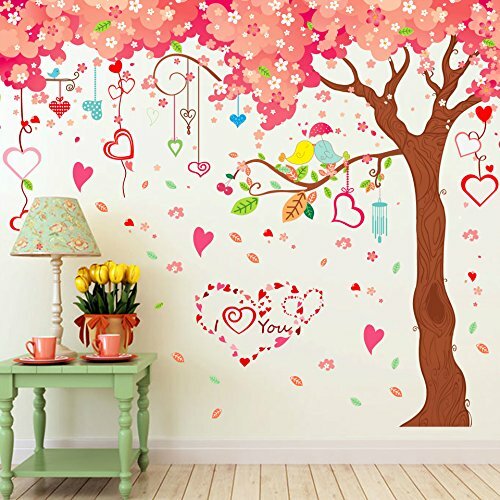 Top quality, beautiful decorative stickers of bright character. Cheap way to add colors without paints. Adhere well, removable and repositionable without damaging your wall. Best for rental property and apartment. It's a breeze to remove and restick when you move house. Great ideas as gifts. Just peel and stick to any smooth surface. This giant wall decal is just the right size for any nursery room.